I recently read a pearl of wisdom from someone in the writing business to the effect that an author shouldn’t invent just one fictional universe and keep writing books in it forever. I think what the person meant was that writing multiple books – or multiple series – in the same universe can lead to formulaic writing. Pretty soon, every book you write reads like every other book you’ve ever written, and eventually nobody can tell them apart. Besides the danger of boring your readers to the point that they drift away – or quit reading your books in disgust – your writing might begin to bore you, too. The thing is, a well-crafted series in a well-crafted world can go on and on. I’m thinking in particular of Terry Pratchett’s 40 Discworld novels. Not only are they hilarious – which is hard enough to pull off, even in a stand-alone novel – but a reader isn’t likely to confuse Hogfather with Making Money or Wyrd Sisters. It’s because the plots are always unique, I think. And I also think it’s a good thing Sir Terry didn’t have someone tell him, when he was two or three books in, to broaden his range. Or, if he heard it, it’s a good thing he didn’t give up on this series to do it. I don’t pretend to be anywhere near as accomplished an author as Sir Terry. But earlier this year, I wrapped up a five-book urban fantasy series called The Pipe Woman Chronicles and, while casting about for a new project, decided to write another series in the same universe. 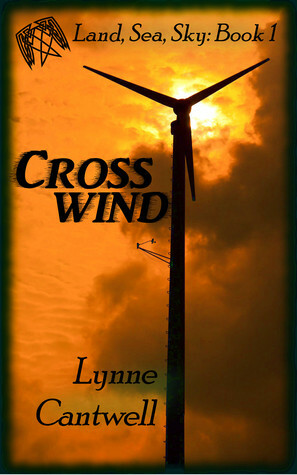 The difference, however, is that the Land, Sea, Sky books – of which my latest novel, Crosswind, is the first – is set ten years after the events in the earlier series. The shiny, new world created at the end of The Pipe Woman Chronicles has been ticking along for a little while, and now the dirty work of keeping it running has begun. This series is set in a different city – Washington, D.C., where I live now, instead of Denver – and new characters carry the story. A few familiar faces have popped up, partly to provide some continuity. But by and large, this is a different crew. And the new series feels different – or at least, it does to me. Denver and Washington are so dissimilar that in moving the story to D.C., I almost felt like I was moving it to a different planet. People value different things here. Power is much more sought after. There’s more back-room dealing in these books – and we are able to see more of it, because I’m writing in third person this time. The first-person narrator of The Pipe Woman Chronicles could only be in one place at a time, but having three main characters provides a wider-angle lens through which to view events, and I’m taking advantage of it. If you’re an author who has finished writing several books in a series and is thinking about writing more in the same world, consider how you’re going to keep the story fresh. Tell about events from a different angle or set your story in a different location. Invent a new main character or two. Focus on a different time period, either before or after the events you’ve been writing about. Any tweaks like these will help to keep your story fresh – and that will help to keep your readers engaged. At least, that’s my plan. And it seems to have worked okay for Sir Terry. Lynne Cantwell grew up on the shores of Lake Michigan. She worked as a broadcast journalist for many years; she has written for CNN, the late lamented Mutual/NBC Radio News, and a bunch of radio and TV news outlets you have probably never heard of, including a defunct wire service called Zapnews. In addition to writing fantasy, Lynne is a contributing author at Indies Unlimited. Lynne’s vast overeducation includes a journalism degree from Indiana University, a master’s degree in fiction writing from Johns Hopkins University, and a paralegal certificate. She currently lives near Washington, DC. 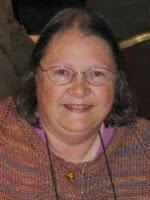 Girl Who Reads is an Amazon and Smashwords advertising affiliate; a small fee is earned when purchases are made at Amazon and Smashwords through the above link. The views, opinions, and beliefs of contributing writers are their own and do not necessarily reflect those of Girl Who Reads. 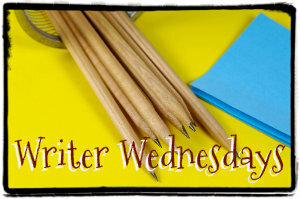 Thanks for letting me play on your blog today, Donna! Great post, Lynne. I have the same feeling of expansion whenever I switch from first to third person--so many more stories within the novel itself! Although I enjoy writing in first person (so immediate! ), it's nice to change it up--like you said, to keep readers (and yourself) engaged. Excellent post, Lynne. I'm really enjoying Crosswind right now, and I like how you've changed it up. I've never written a series, but I can imagine that you'd need to keep it fresh for the readers, the characters, and for yourself. Yeah, it's good when the author isn't bored, lol. Glad to hear you're enjoying the new book!